Fabric: 1930 reproductions. These were scraps from the Dear Jane project. My mother made dresses for us from feedbags that my grandfather brought from the farm in the 1940s. Binding and label applied during the 2012 Olympics. 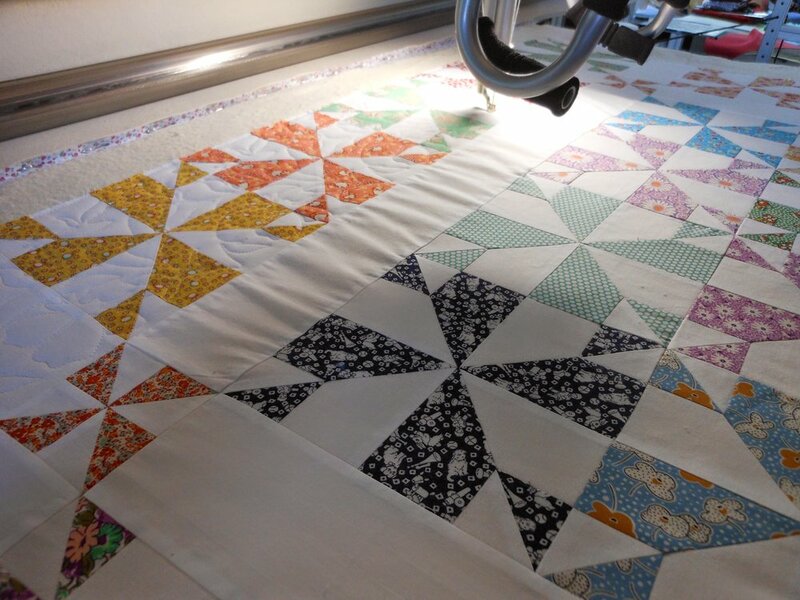 This quilt was made for my great grandchild. 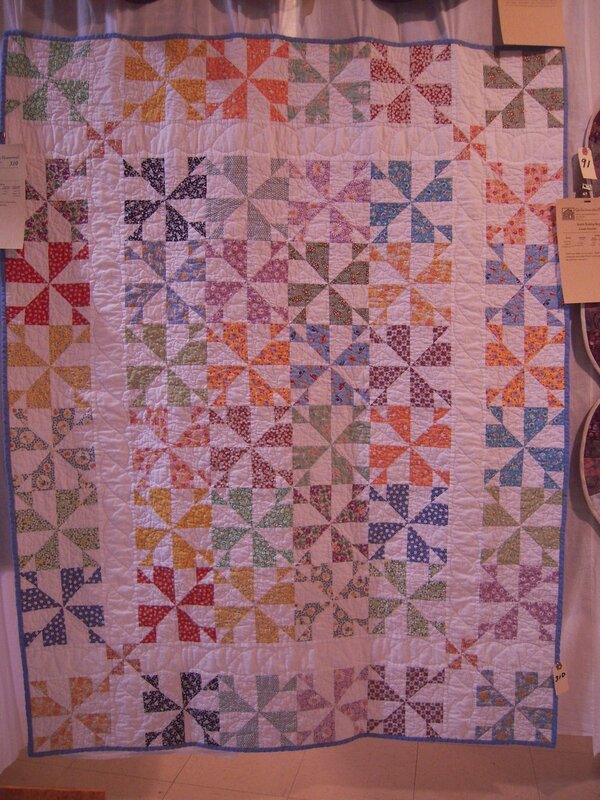 Machine Quilted by Jackie Iglehart; pattern is Meadow Life with Roping quilted on interior white border.